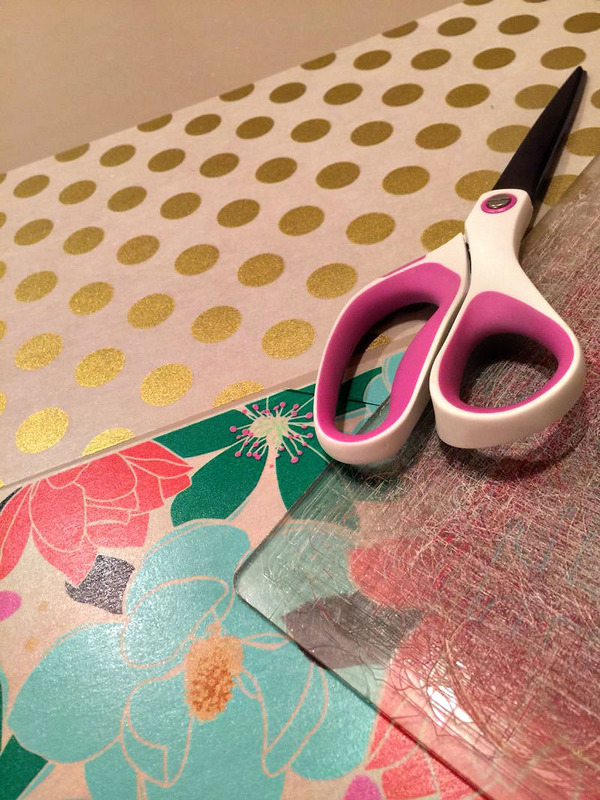 michellephilippi.com» Blog Archive » Craft Table Makeover. Posted by Michelle on January 24th, 2016 . Filed under: Design Team Work, Hazel & Ruby, Valentine's Day . My craft table, and let’s be honest, my entire craft area, is nothing to brag about. I’ve got a small corner in my bedroom where my husband has put up some shelves and a cabinet, along with a ribbon organizer and some lighting, and a little table from Walmart for me to craft at. It works for me, but it’s still a pretty small, dark area. So I’m always looking for ways to glam it up. The tabletop is vinylish, and has some knicks and some stains on it from years of wear. So my husband offered to cover it for me. 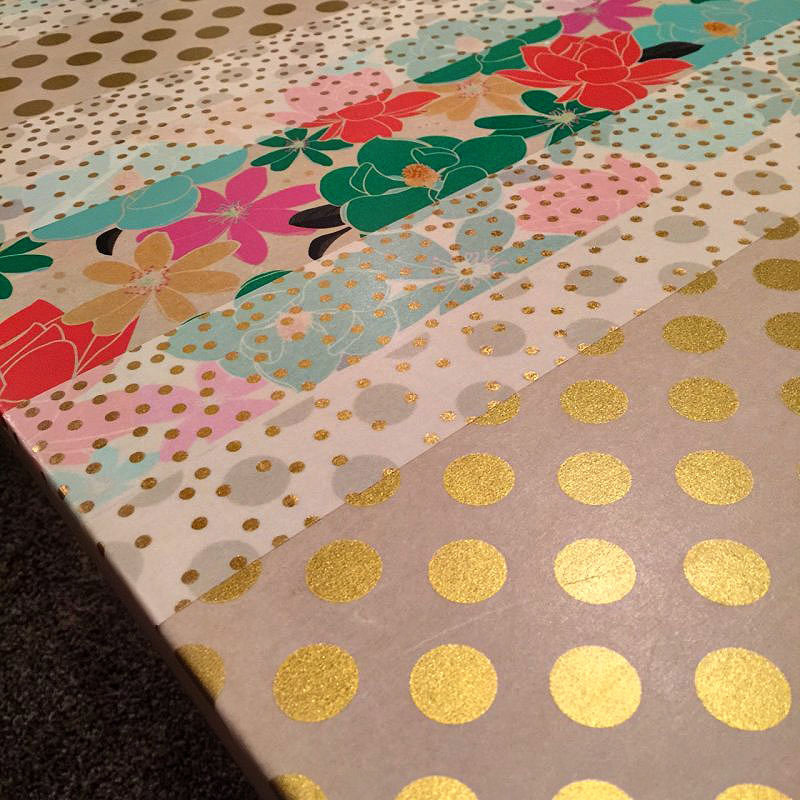 And I just so happened to have the perfect covering materials: Hazel & Ruby DIY Decor Tape in Floralicious, Golden Dots, and Gold Confetti Dot. 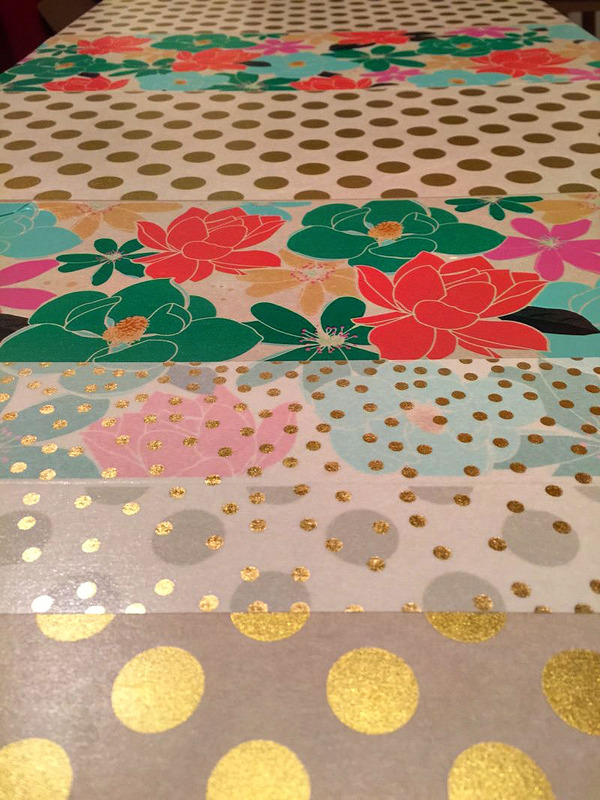 He laid out the larger strips side by side, using one of my Big Shot plates to press out the wrinkles as he went along, and then covered the seams in the smaller Golden Dot Tape. I gotta be honest – I kinda love how it turned out. 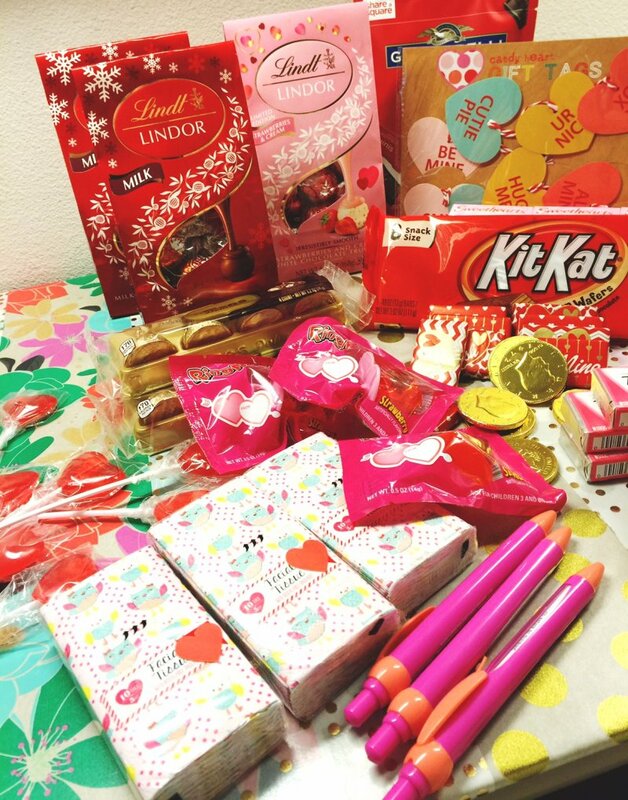 It kinda made working on Valentine happy mail that much more fun! 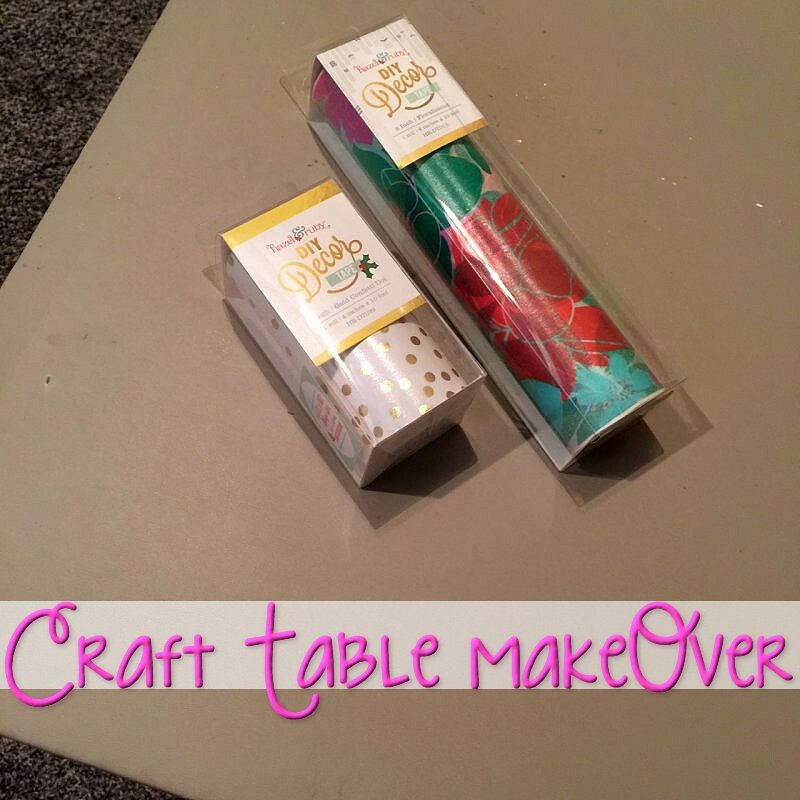 2 Responses to Craft Table Makeover. Michelle love love how it came out!! 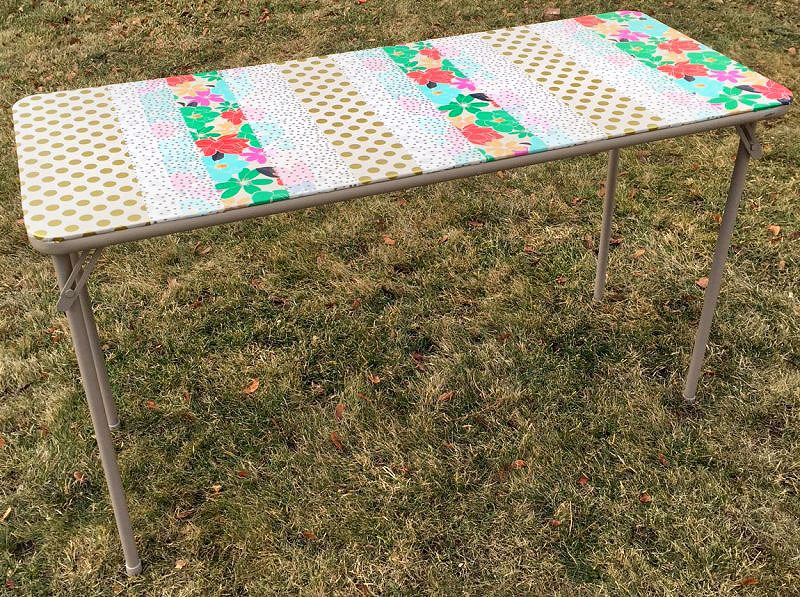 I use the same table in my craft room! Enjoy your “new” table!! Happy Sunday! I love your new table!!! So cute! And you probably feel super excited to keep looking at it. I would!